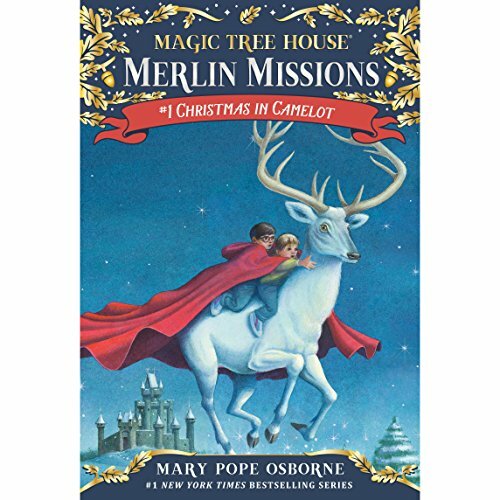 Inspired by the Celtic legend and the spirit of the imagination, Christmas in Camelot is Mary Pope Osborne's gift to young listeners everywhere. It begins with a simple invitation to spend Christmas Eve in Camelot, a magical place that exists only in myth and fantasy. What Jack and Annie don't know is that the invitation will send them on a quest to save Camelot itself, not from destruction, but from being forgotten forever. Then it's a new kind of adventure for Jack and Annie! My five year old daughter and I love this book. We are listening to it for the third time this week and we're both enjoying it again. The story has good plot twists, a nice and not sticky sweet message and believable characters. Mary Pope Osborne does a fabulous job narrating this story. My kids really enjoyed it! They have been reading these books for a while now and I thought I would give them this audiobook for them to listen to at night. I recommend it to all kids who love magical stories! If you could sum up Magic Tree House, Book 29 in three words, what would they be? What does Mary Pope Osborne bring to the story that you wouldn’t experience if you just read the book? I feel like I am really in Camelot with Jack and Annie, and hearing the voices of all the people there. Slower reading pace, less forced dramatic expression and more distinct elocution are required. The dialect seems fake and disingenuous. No more magic tree house.